It is difficult to pin a lot factual information down on the A550X project as the project was stopped before it came to fruition and because it was a prototype very little documentation seems to survive or has come to light. It also could be said, the story may not be complete, as the story as we know it is not seamless. 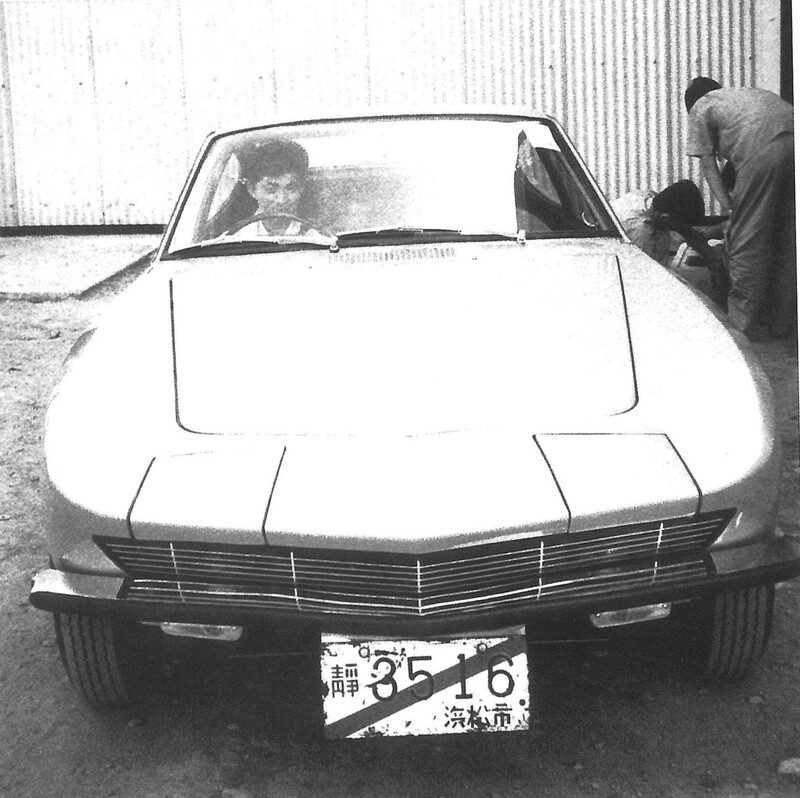 KIMURA san claims he designed the exterior of the A550X prototype (Japanese Nostalgic Hero magazine November, Vol. 51). As mentioned in the CSP311 development history, the A550X design and development at Yamaha started before the CSP310 prototype and was stopped. 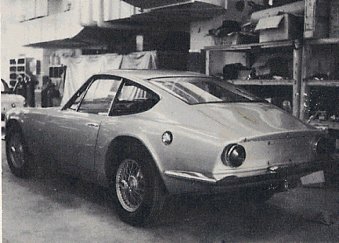 So, the A550X project had been running for about 5 months from the inception after the October 1962 Tokyo Motor Show and when the project stopped in May 1963. 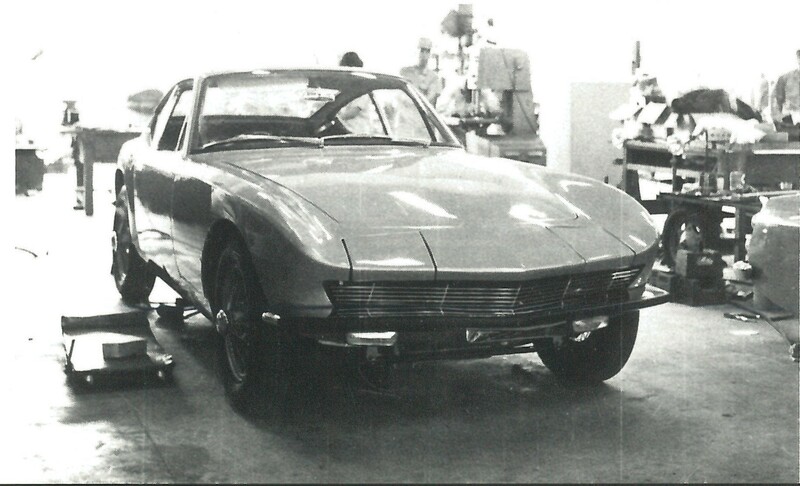 The initial design brief for the A550X was to have a steel monocoque body with separate sub-frames, long nose and fastback rear, retractable headlights, 4-wheel disc brakes, curved side glass and a 2-litre engine (the XY80). With KIMURA san designing the A550X exterior and YOSHIDA san designing the interior from Nissan and HANAKAWA Hitoshi from Yamaha also being given credit for the exterior design. It was after all a joint project. But like the Silvia project, many people would have been involved. There seems to be three prototypes mocked up under the A550X project banner. The first, a slightly angular look to it, (see below and a clay mock up of the design) which is metal bodied, built by Yamaha for Nissan. This I take as the first design of the A550X. 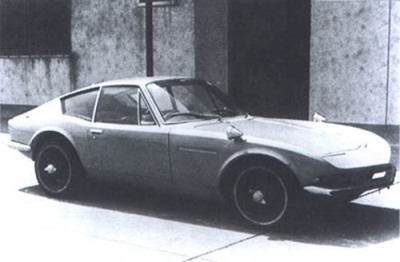 The second design follows the first, but is smoothed out and much more elegant, and seems to have been built quickly in September 1964 when it was delivered to Nissan. Here (see photos) wearing dark paint within the privacy of Yamaha’s viewing yard and with Yamaha’s HANAKAWA san at the wheel. Wooden buck for panel forming. The third design (see below pictures) has the same design as the second, but the body is finished in fiberglass. Looking at some of the Japanese blogs, there is talk of some subtle differences between the two. The main difference being the colour of the body, being red rather than the darker colour of the second prototype. This A550X was designed for Yamaha by GK Design (KOIKE Iwataro). 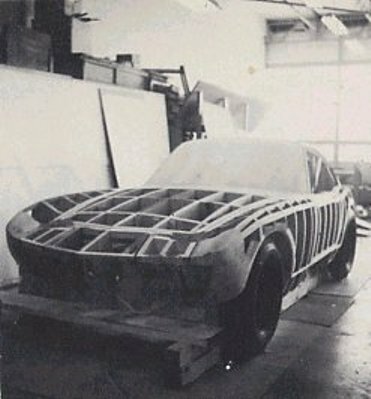 YOSHIKAWA Shin, who wrote the superb book “Toyota 2000GT”, is convinced by seeing original drawings found during his research at Yamaha that the fiberglass A550X was designed by GK Design, and was no part of the joint Yamaha/Nissan project. But the A550X project was politically dead in the water. With Nissan pulling the plug on the Silvia body manufacture which was promised at the project outset to Yamaha, the relations between the two partners were already strained. This worsened over the building of the A550X prototype and when the job was completed the two companies called time on working together. The reason(s) are not wholly explained over the split. The paperwork was handed back to Nissan, whilst the finished A550X mule sat at Yamaha for a while before being delivered to Nissan. While the A550X mule sat at Yamaha, an interesting side tangent to the aborted Nissan 2000GT project (as the A550X is also known) came about. 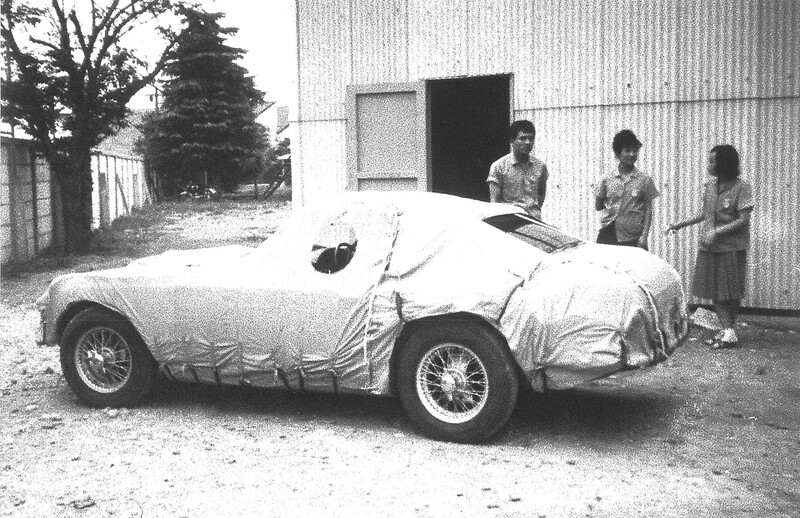 Toyota executives were looking to build their own exclusive GT car, rather than its usual high-volume products. Toyota chose factory race manager KAWANO Jiro in the summer of 1964 to oversee a small development group (5 people initially) which would come up with the Toyota 280A project. 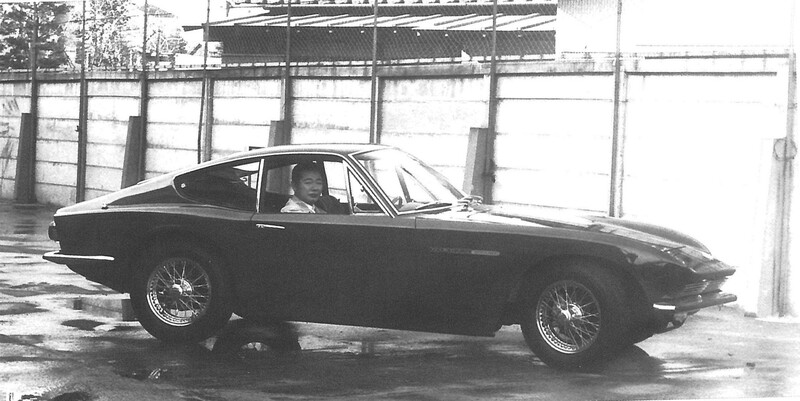 While the Toyota design team were taking a lot of time gradually working on the initial stages of a concept car (July to September 1964), KAWAKAMI san visited Toyota, as Yamaha had the same thoughts of building a luxury sports car. The Yamaha and Toyota executives agreed to combine resources. TAKAGI Hidemasa (engine development), YAMAZAKI Shinichi (chassis and suspension) and KAWANO san, went to Yamaha and saw the A550X mule, they knew as the Red GT (which is probably the GK Design version). In a documentary discussion between HOSOYA Shihomi (development driver and assistant designer) and MATSUDA Eizo (test driver), the other two members of the initial team who also saw the Red GT, say, “We went to see the car, they showed us the engine. It was sitting there. The car body was there and the engine was out. It might not sound good, but he (KAWAKAMI san) showed us everything as he was going to double-cross Nissan. He showed us their secrets”. I would gather KAWAKAMI san showed Toyota the A550X designs after Nissan ceased relations and the A550X mule sat in limbo. 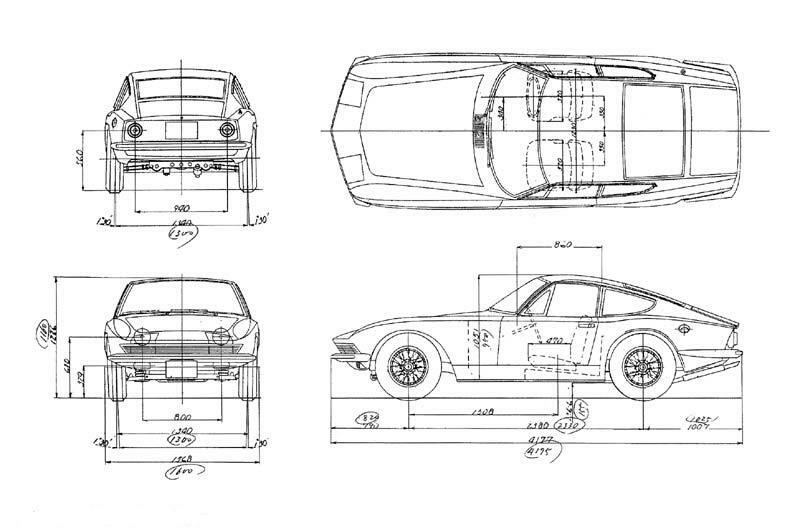 This fits with the 280A timescale, which puts the Toyota development group seeing the Red GT about the 28th of December. With Toyota joining forces with Yamaha, it was not, I repeat, not a way for the A550X to become the 280A project, but a way of showing Toyota what their capability was and to be a starting point of the meeting of like-minded designers from both companies. Even though the A550X did not quite fit into Toyota’s vision of their own design, they knew Yamaha could take on their requirements. 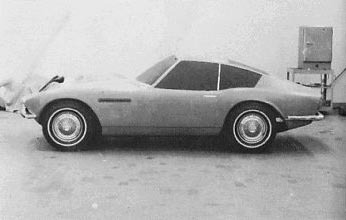 From this Toyota project (and Yamaha), NOZAKI Satoru (vehicle development- 2000GT design and 2000GT body design) and the rest of the team would create one of the most beautiful and iconic cars to come out of Japan, the Toyota 2000GT. I am afraid the Goertz design myth rears its head into view here as well. It could be probable that Mr Goertz may have had some consultation input on the A550X project. But, the evidence for this is distinctly lacking, apart from YOSHIDA san saying he had an input. Again, having an input gives no basis whatsoever in being credited for its design. 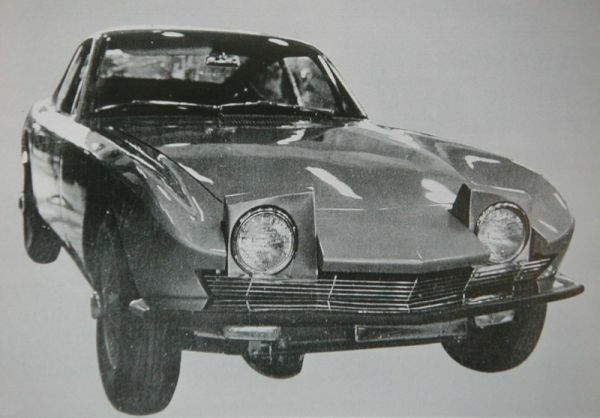 For Yamaha to have started work on the A550X, at maybe the very end of 1962/ beginning of 1963, Nissan would have had to have some finalized designs for Yamaha to work from a few months prior to Yamaha starting. The A550X project was stopped for the start of the CSP311 project, both projects happened well before Mr Goertz arrived. Also, the fact the A550X project restarted in the spring of 1964, just as his one-year contract would have finished around May 1964. Time wise, Mr Goertz was not around when the project was running, except maybe towards the end of his contract. 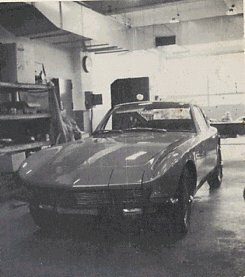 Mr Goertz doesn’t mention the A550X project in his autobiography, the nearest is talk about a “2 litre sports car especially for the US market, mainly California”. Which could mean anything or nothing. 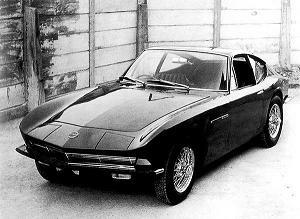 The myth then gets more fanciful, as it is claimed that his non-design of the A550X is somehow projected into also becoming the designer of the Toyota 2000GT and the Nissan S30 series. He tries (or others do) to get the design credit for these iconic cars too?! Utterly false, Mr Goertz was not there, not employed by either company over the respective time periods. Both camps did not look at the A550X for inspiration. There is no evidence forwarded to support this myth, but there is plenty of hard evidence of words and design drawings by the actual people involved in both projects. Mr Goertz helped perpetuate these lies through various interviews and more smoke a mirror. Again, nothing in his autobiography. Surely, your autobiography is the pinnacle of your achievements within your life, and yet nothing within it of any substance from his time in Japan. My understanding is personally Mr Goertz did not want anything to do with the A550X, Toyota 2000GT or the Silvia as they were not judged as a commercial success. Both the Silvia and Toyota were expensive and time consuming to make, both being virtually hand-made and never intended as a mass selling models. 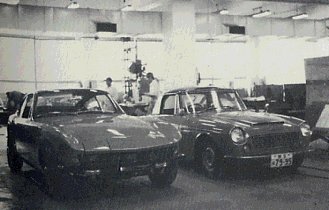 Success being the Datsun S30Z series, which was a big seller worldwide. The styling project he was slightly involved in did not come to mainstream production, so did he felt that he needed to salvage something from his time in the automotive industry in Japan (e.g. an Automotive Quarterly magazine article)? Everything connected to Mr Goertz’s time in Japan is laden with so much inconsistency and spin, I am afraid to say, lies sum it up.